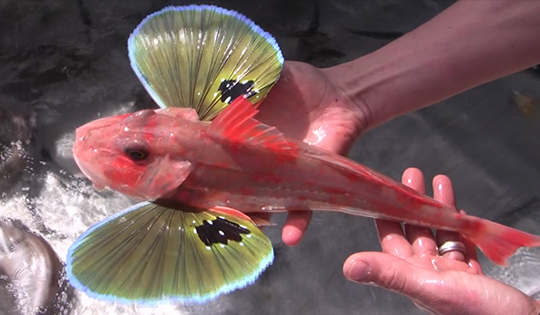 Picking and choosing the fish we want before they even come onboard. WHAT IS PRECISION SEAFOOD HARVESTING (PSH)? Precision Seafood Harvesting is the commercialisation phase of nearly 10 years of New Zealand research and takes our commitment to sustainable fishing to a ground-breaking new level. 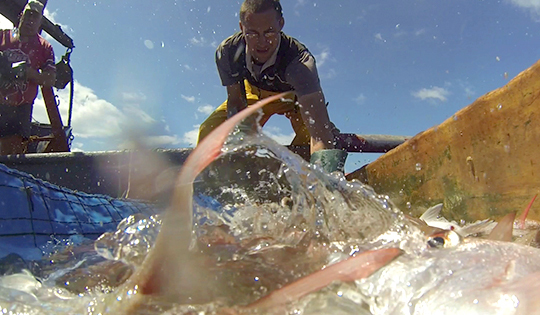 This radical new technique does away with traditional trawl nets. 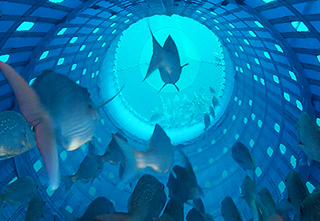 Instead, fish are contained and swim comfortably underwater inside a large flexible PVC liner, where the correct size and species can be selected before being brought on-board the fishing vessel. The design of the harvesting system allows fishing vessels to target specific species and fish size, and greatly increases protection for small fish that can swim free through ‘escape portals’ and non-target fish (by-catch), which are released unharmed. Fish are brought on deck still swimming inside the liner, in perfect condition, meaning fresher, more sustainable fish for consumers and higher value products for fishing companies using the technology. Sanford, along with Aotearoa Fisheries and Sealord are investing $26 million into the project under a Primary Growth Partnership (PGP) with the Ministry for Primary Industries (MPI), which is matching the investment. Scientists at Plant & Food Research are partnering with the fishing companies to develop and trial the technology on commercial fishing vessels. The Precision Seafood Harvesting Programme was named Supreme New Zealand Innovator at the 2014 New Zealand Innovator Awards, and also won the Innovation in Sustainability & Clean-Tech Award. This revolutionary New Zealand fishing technology is the biggest step forward for commercial fishing in 150 years, and not only has huge benefits for fish stocks, the environment, consumers and New Zealand’s seafood industry, but also has the potential to radically change the global fishing industry.